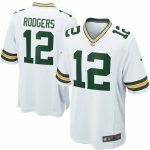 You love to add that personal touch whenever you go to watch Green Bay Packers play. Now you accomplish that perfectly when you get this Reggie White Green Bay Packers 1996 Retired Player replica jersey from Mitchell & Ness. It features unique Green Bay Packers and Reggie White graphics on the front and back. 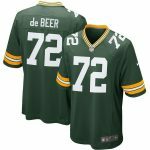 It’s a great piece of memorabilia that will help you to celebrate the accomplishments of Reggie White when he played for the Green Bay Packers.